Making memories that last forever is an integral part of fishing. If you ask anyone about the biggest fish they ever caught they will tell you the story in very vivid details. Being able to make these memories for kids while teaching them about respect for nature AND HAVING THEM IN A CONFINED SPACE CLOSE TO YOU WITH NO ELECTRONIC DEVICES WHILE THEY ARE ENGAGED AND HAPPY AND WILLING TO CONVERSE IS PRICELESS! Here are a couple of forever smiles from the opening week of musky season on the tribs in Eastern Ontario. 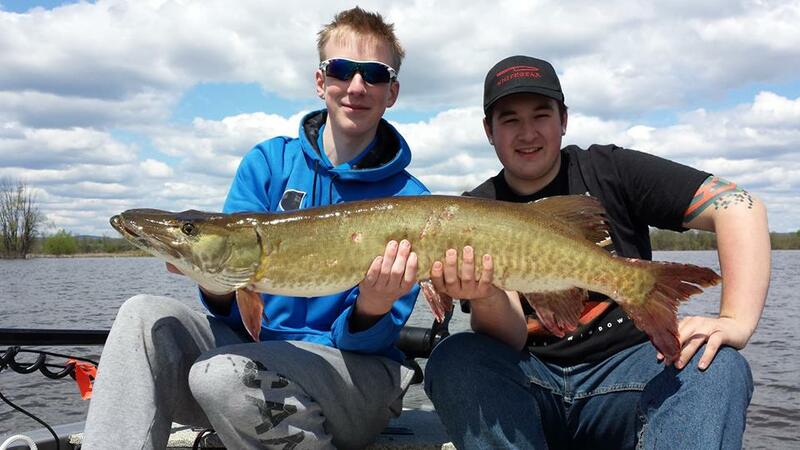 Nick and Kevin hoist the first musky of the year in the Raptor – a 41.75 inch male. Ben proudly displays his first boat side musky. He will tell you that he wasn’t sure he was going to get it out from under the boat. 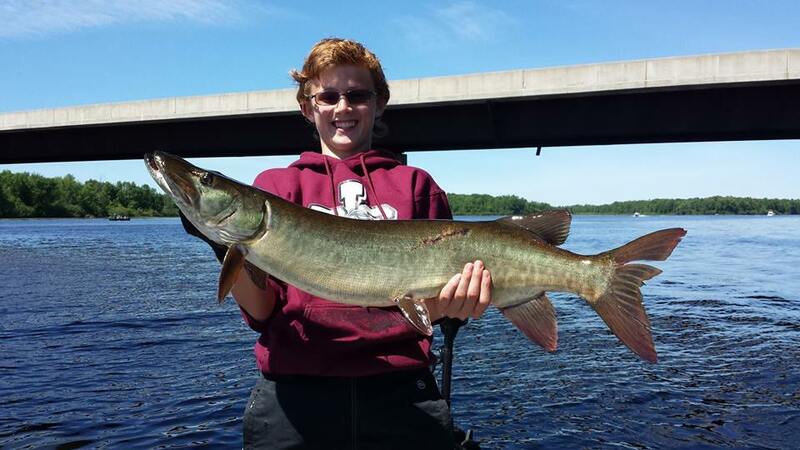 This was Ben’s second ever musky trip and he is 2 for 2. Check out Ben’s first musky last year! Finally something to think about; I remember the first time I ever saw Crash Mullins talk at big musky show in the US. Crash is one of those bigger-than-life characters and Crash closed his presentation as always with his massive Kentucky twang and said ‘Take your kid hunting and fishing because kids who hunt and fish don’t steal and deal’. Life happens in nature. ← Legend Lures Available in Ottawa for the First Time!! !